Listed below are the descriptions of our different Sponsorship Opportunities your Businesses can take advantage of! Click the link at the bottom of the page for a print out of the 2019 Sponsorship Brochure! 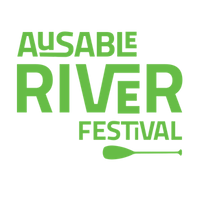 -Logo on the front cover of the AuSable River Festival Event Program/Map as well as listed on the Festival Sponsors page. -Business logo to scroll on the homepage of the AuSable River Festival website & included on all Media promotions.